J.R.R. 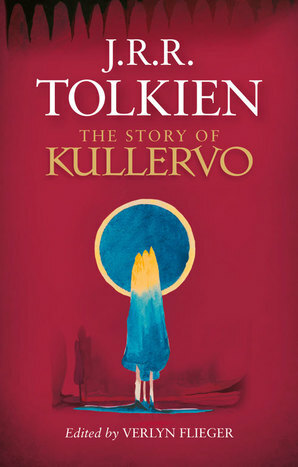 Tolkien’s The Story of Kullervo, edited by Verlyn Flieger, will be released by HarperCollins on August 27. Written over a century ago, in 1914,it is Tolkien’s reworking of part of the Finnish saga Kalevala. Kullervo son of Kalervo is perhaps the darkest and most tragic of all J.R.R. Tolkien’s characters. ‘Hapless Kullervo’, as Tolkien called him, is a luckless orphan boy with supernatural powers and a tragic destiny. Brought up in the homestead of the dark magician Untamo, who killed his father, kidnapped his mother, and who tries three times to kill him when still a boy, Kullervo is alone save for the love of his twin sister, Wanona, and guarded by the magical powers of the black dog, Musti. When Kullervo is sold into slavery he swears revenge on the magician, but he will learn that even at the point of vengeance there is no escape from the cruellest of fates. The Kullervo character is a basis for Túrin Turambar, a tragic hero of Tolkien’s later work The Silmarillion and The Children of Húrin. Editor Verlyn Flieger has included in the volume Tolkien’s drafts, notes and lecture-essays on its source-work, The Kalevala. Flieger, a prolific Tolkien scholar, is the winner of two Mythopoeic Awards for Inklings Studies, for A Question of Time: J. R. R. Tolkien’s Road to Faerie (1998), and for Tolkien’s Legendarium: Essays on The History of Middle-earth (2002), co-edited with Carl Hostetter . This entry was posted in Like Show Business and tagged J.R.R. Tolkien, Verlyn Flieger by Mike Glyer. Bookmark the permalink. I just suspect it will be as big a yawn as a lot of the other releases since THE SILAMIRILLION. Or however it is spelled. I bought about five of the posthumous releases and they were dry as dust.